The volatile weather across the country screams spring. It may be the end of March, but it's not too late for blizzard conditions in Wyoming. And that very same system has been causing strong winds ideal for spreading the largest wildfire in Kansas' history across that state. 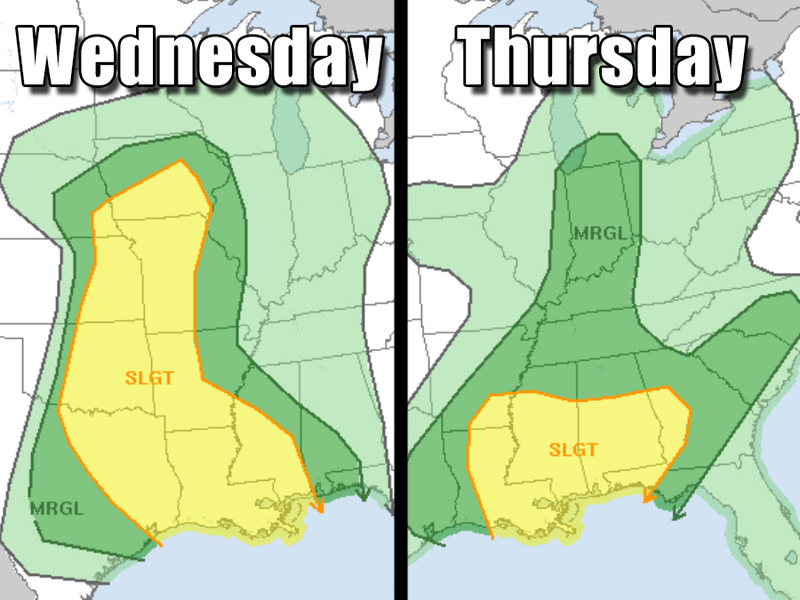 As this large system moves east, it will bring a multi-day threat of severe thunderstorms to the Plains and the Southeast. Spring is an unsettled season, and back and forth conditions are commonplace across most of the United States. Some parts of the country are seeing 20-30 degree temperature swings in a matter of days with the passage of a cold front. During this time of wild weather, apps like Snowcast can alert you when snow is heading your way, and Storm Shield can alert you when it's more likely to be a a tornado. That way, you're on top of the weather instead of the other way around.